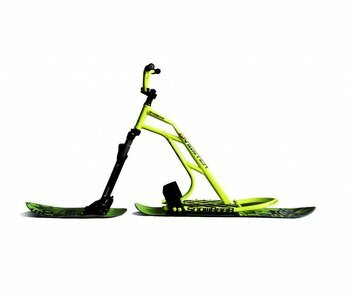 The specialist for Skibikes, Snowbikes, Snowscoots and Skibockerl! Alternative for all winter sporters! The Gangster Snowscoot from Snowbaar has a suspension on the front fork which offers many more possibilities! The boards also have a pointed shape which gives the possibility to "cut" the snow in deep powder snow.